Testing is a hugely important part of development. It's rare that a piece of software is so straightforward that we can be confident that it's working as expected as soon as it's developed. 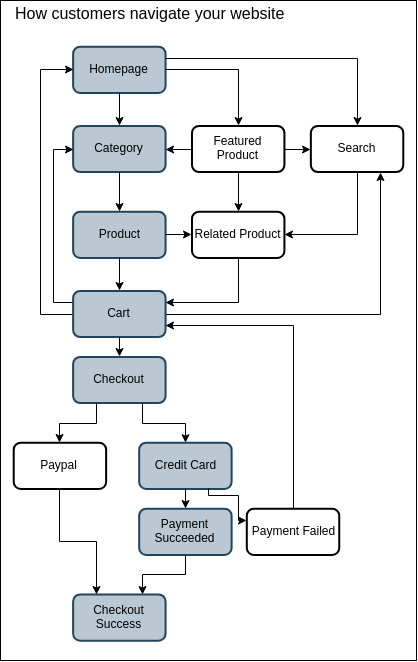 But in reality, websites are never such a conveniently linear process. People browse around, we expect sometimes payments might fail, people will arrive directly to product pages, products will be out of stock. it's not unusual for testing to take as long as the creation of the product itself as test-fix-release cycle is repeated until all the discovered issues are ironed out. Once this process is complete we can usually consider ourselves ready to deploy. 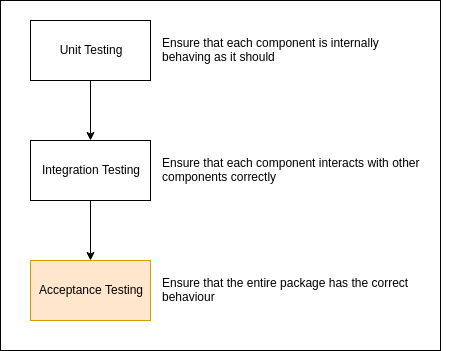 Integration Testing: Check that the individual components interact with others correctly. We won't go into this one in depth on this page. The analogy below can help gain an understanding of the stages that lead up to acceptance testing. During the process of manufacturing a ballpoint pen, the cap, the body, the tail and clip, the ink cartridge and the ballpoint are produced separately and Unit tested separately. When two or more units are ready, they are assembled and Integration Testing is performed to make sure the cap fits on the stem, and that the ink cartridge plugs into the tip. Acceptance Testing is then performed so as to confirm that the ballpoint pen is performing its desired function of transferring ink onto paper. Smoke testing is a type of software testing that ensures that the most important functions work and won't cause any major issue. Fitting the name, developers will poke around to see if nothing catches fire. It's used as an indication to see if a build is stable enough to proceed with further testing. None of these major functions are tested in depth, but enough to determine if there's anything fundamentally broken. If the Smoke Test passes, then the build can progress to further testing, On the other hand, if it fails, then further and more in depth testing might waste time as there are still problems to deal with first. 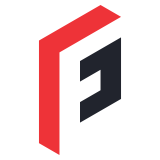 Provides a level of confidence that changes to the software have not adversely affected major areas (the areas covered by smoke testing, of course). Acceptance Testing's objective is to ensure that the product conforms to the business requirements and assess whether it is acceptable for delivery. It has no concern with the product's internal behaviour - it solely makes sure the product's external behaviour is correct. Acceptance testing: Formal testing with respect to user needs, requirements, and business processes conducted to determine whether or not a system satisfies the acceptance criteria and to enable the user, customers or other authorized entity to determine whether or not to accept the system. Behat is a tool which provides a way to automate Acceptance Testing. It works by interacting with a website as though it were a human user. It allows you to write instructions for actions you want to test, and what you'd expect to see when you do so. It then loads your website in a normal web browser, runs the tests and checks that the expected outcome happens. You can set this off every time a change is made. The format used for this in Behat is called Gherkin. It uses instructions such as 'When I click on the text "Update Shopping Cart' 'Then I should see the quantity of the test product has changed'. Below are 3 example of these tests being used against an ecommerce store. seeing an error when a non numerical value is added in the quantity field. It describes where the user should be, what they should be able to do and the given result of these. If the test passes, then we know that it's working as intended. And I click on the text "Add to Cart"
And I change the quantity of the test product in the cart to "2"
When I click on the text "Update Shopping Cart"
And I change the quantity of the test product in the cart to "eee"
Then I should see "This is a required field." The next script tests if the user can access and progress through the checkout. When I fill the shipping form field "username" with "behat"
Then I should see "Please enter a valid email address (Ex: johndoe@domain.com)." And I fill the shipping form field "username" with "behat@example.com"
When I fill the shipping form field "firstname" with " "
And I fill the shipping form field "firstname" with "behat"
When I fill the shipping form field "lastname" with " "
And I fill the shipping form field "lastname" with "example"
When I fill the shipping form field "street" with " "
And I fill the shipping form field "street" with "123 Main Street"
When I fill the shipping form field "telephone" with " "
And I fill the shipping form field "telephone" with "01257898789"
When I fill the shipping form field "city" with " "
And I fill the shipping form field "city" with "Leeds"
When I select "" from "country_id"
Finally, the last script tests to see if a user can access the homepage within 2 seconds, and then start interacting with elements on the page. Then I should see "You have no items in your shopping cart." All three of these can also be run in one single test, as seen in the terminal on the right.